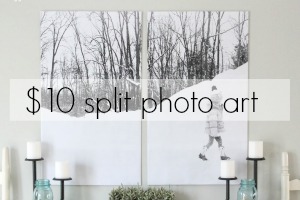 I don’t really do New Year resolutions, but I do have a goal to organize some cluttered spaces in our home this year. When we moved into our new house last summer, I immediately claimed one of the largest kitchen drawers as our “junk” drawer. You know, the drawer that houses all of the crap items that you don’t know what to do with, swear you’ll put away later, or stuff you don’t want to look at. Oh my. I am literally cringing at the sight. 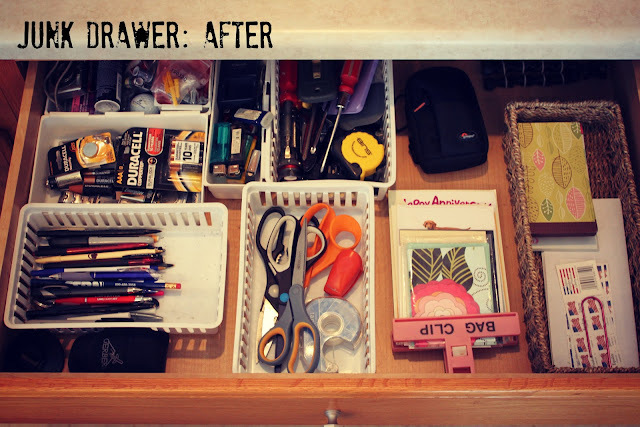 We could barely close the drawer anymore, and something had to be done! I consider myself a fairly organized person. However, drawers like this get out of hand so quickly! I have broken down my organization process into simple steps. Step 1: Empty out your drawer. Step 3: Either pitch or put away items that aren’t going back into drawer. Throwing away junk that I’m not using is my favorite! I’ve been known to throw away perfectly useful things simply because I’m not using them (notice the perfectly good corn cob holders and hand sanitizer in the “trash pile”? You’ll never see me on an episode of Hoarders! The “Put These Away” Pile is the junk that has accumulated in the drawer simply because I’ve been too lazy to put it away in its actual place. Do you hear that? I think it’s a choir of angels. Now, when I open up my junk drawer, I feel so much better about…everything. Don’t ask me why we have so many lighters, I don’t know. Maybe I should throw some of them away…ha! Wow, much better!!! 🙂 And I LOVE throwing things away too!! 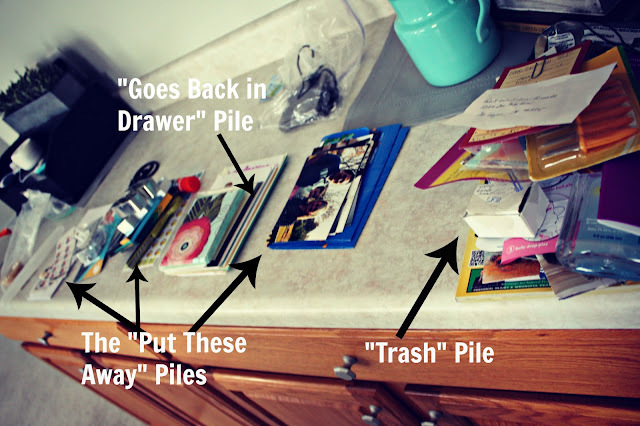 I love organizing…makes me feel so good! This is great! 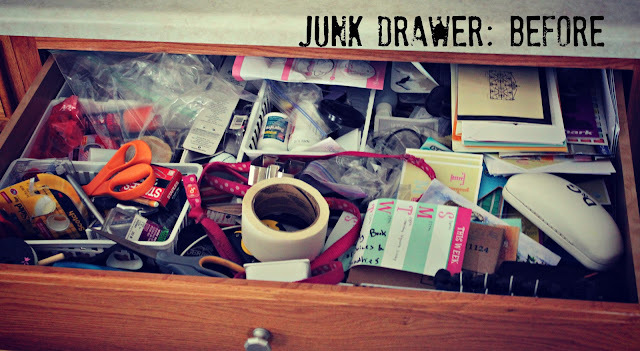 I think my junk drawer needs a makeover! It looks great! I think I have done this a bunch of times, but I can’t seem to get my husband to keep it organized :). Thanks for your lovely comments today and for the follow. Wow! That looks amazing! I love organizing! SO satisfying. I think I need to run and clean my bathroom drawers out now…. April, I’m so inspired to get in that junk drawer! 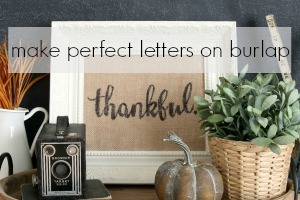 We are joining your beautiful blog! 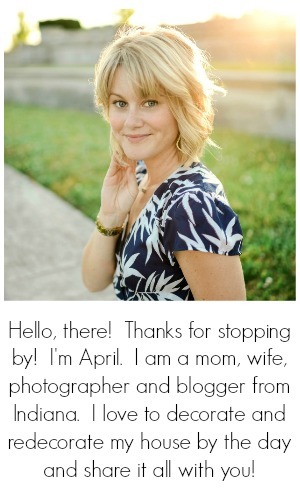 April, Thanks so much for stopping by my blog! Newest follower! I agree. Sometimes, our junk piles up so fast and before we know it, we’ve accumulated more than we expected. Anyway, you really are an organized person! It’s amazing how you managed to fix that mess.